Earn $2.90 in VIP credit (290 points)What's This? 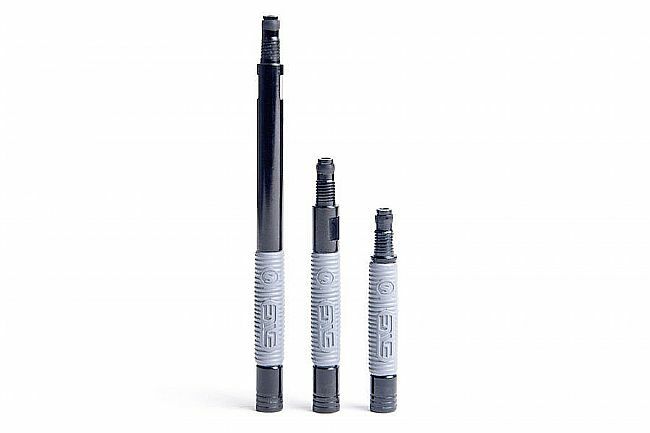 ENVE SILCA valve stem extenders for tubular tires and tubes with removable valve core. I have used a number or different valve core extenders for deep section wheels, many of which are excellent. 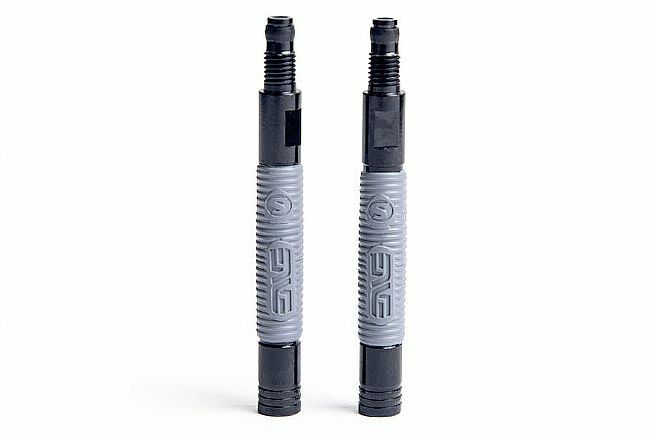 The Enve Silca extenders differ in that they are wrapped with a rubber end where they exit the rim. This appears to be a solution to the issue of the valve core extender having that annoying loose wobble which results in a clicking when the wheel rotates. The traditional solution is to wrap a thin layer of electricians tape around the extender before inserting it, the trick being to not make it too thick. While the Enve Silca end seemed a good solution I found that in the rims I was installing them in (tubular 88mm wheels w the extender installed on Vittoria Corsa Speed 23mm tires) the rubber bit was just a little too thick and worked it's way off while pushing the extender through the deep section rim. I imagine this problem may not be an issue on other wheels and or somewhat shallower rims. Otherwise they are great and I didn't find too many other core extenders of suitable length to work well with the 88mm wheels.